We are pleased to announce that John Thompson has accepted the position of 2nd shift Supervisor Highlands. In his new role John will report to the Manager, Virginia Operations Logistics and Highlands Manufacturing. John began his career at Highlands in March 2015 as a pultrusion operator. 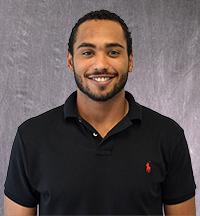 John graduated from the University of Virginia’s College at Wise in 2014 with a B.S. in accounting and was a member of the football team and the fraternal organization Kappa Sigma. John enjoys spending time in the outdoors, such as hiking, camping, fishing and hunting, spending time with his family and staying connected with his fraternity by joining them in their volunteer work. Please join us in congratulating and supporting John in his new position.